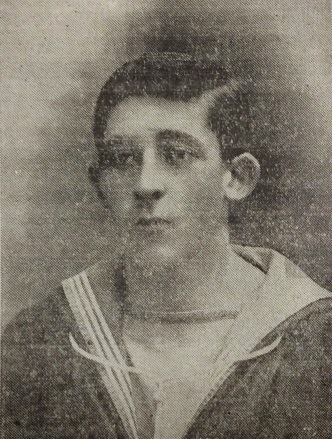 Wednesday 31st March 1915: News has reached Bedford of the death of 22 year old Able Seaman Ralph Stuart Adams. He was serving on HMS Inflexible which was badly damaged in the Dardanelles last week, having survived the Battle of the Falklands last December. Adams, who was an old boy of Bedford Modern School, joined the Navy about seven years ago. When he last returned to Bedford two and a half years ago he was stationed at Chatham; after which he spent time serving in the Mediterranean. The last letter received by his parents was written on March 1st, when he said he was quite safe and sounded very cheerful. His brother is serving with the Royal Engineers and is currently stationed at Peterborough. Another Bedford sailor who also took part in the Battle of the Falklands has experienced better fortune. Able Seaman F. W. Dear has just returned to his ship HMS Essex after spending a few days with his parents at Coventry Road. He has described his experience of the battle in which “terrible firing took place for eight hours, and we could see the enemy’s ships go down one after the other; there were four sunk altogether, and fortunately there was no damage done to our ship, and there was not a single casualty. We did not lose any ships in that battle.” Since leaving the Falklands his ship had carried out patrol work in the North Atlantic and has recently escorted three Canadian troop ships across to the Irish Sea, from where it came on to England. Cardington Parish Room: A present occupied as billets for the Irish Horse. 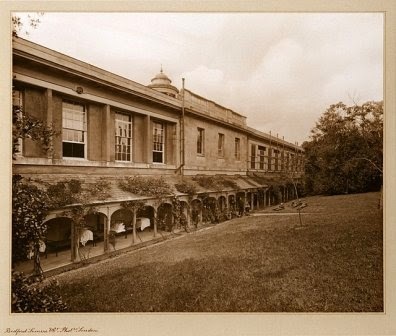 Eaton Socon Hospital: At present filled up with convalescents from Cambridge. Grafton Rooms, Bedford: At present used as an Officers’ Mess for one of the Battalions stationed in this town. Kent House, Bedford: Not available now. Biggleswade Hospital: This hospital has done excellent work for six months; but work had to cease as the masons required the buildings for their dinners. The A.D.M.S. (Colonel Murray) states that another V.A.D. Hospital is not necessary. Ampthill Hospital: This V.A.D. has formed a hospital for the troops stationed in Ampthill Park. Dunstable Hospital: This hospital is full of sick from the neighbouring troops. Wardown House, Luton: This hospital has troops from the neighbourhood. Town Hall, Sandy: This building is occupied as billets by the National Reserve. Corn Exchange, Leighton Buzzard: This building has been used as a hospital, but is now being used as a Government factory. Monday 29th March 1915: Adelaide Garrett of 24 Church Street, Luton, has appeared at the Petty Sessions Court charged with “practising palmistry to deceive and impose”. She had hired a room at 11, Church Street and placed a notice in the window which read “Madame Lee, a genuine relative of the old-established Gipsy Lee family, now nearly extinct, which has been patronised by the leading aristocracy, nobility, and gentry”. She was known to live in Luton during the winter; in the summer she told fortunes at the seaside, and had been seen at Yarmouth. At 9.20pm on 22nd March two soldiers went into the room to have their palms read. One was told that he would soon be going abroad, that he would be wounded, but only slightly, and would soon get over it; the other was told that he also would go to war but would return without a scratch. Each man was charged one shilling. The Town Clerk stated that with the large number of troops in town, it was “extremely inadvisable” for anything of this sort to be allowed. The woman had given the younger of the two men a book and he warned the Bench not to be fooled by any claims that she had charged the shilling for the book and not for the fortune telling. Driver Partridge of the Army Service Corps said that he had gone to have his fortune told, and although he was given a book he did not go there to buy it. Mrs Garrett did indeed say that she had told the men it was a shilling for a book, that she had given one to both the soldiers, and that she displayed a notice saying she sold books. She produced a card which she said could be bought for a penny from automatic machines all over the country, saying that if the card was worth a penny, then surely her twelve page book was worth a shilling. She used the name Madame Lee as a professional name as her married name of Garrett was not a gipsy name, but she was indeed related to the Lee family and a cousin had told the fortune of the Duke of Clarence. She had been born and brought up in Yarmouth, where her husband’s father had twice been Mayor. Mrs Garrett’s husband Henry also gave evidence. Asked his occupation he said “I am all professions, I am anything” and that he had been a “foreign sailor” but was born and bred at Yarmouth. 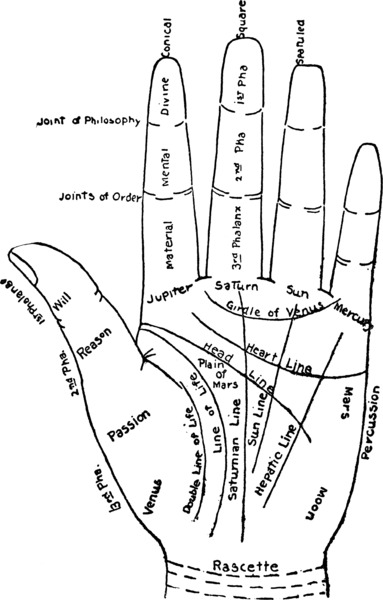 They had been prosecuted at Yarmouth for practising palmistry and had won the case in the High Court. The business they carried out at Luton was under the same rules and conditions. They had been to the police station to get permission and were told that if it was lawful at Yarmouth it was lawful at Luton. The Chief Constable, however, said he had never spoken to Mrs Garrett until a short time before when she came to see a friend who was in the cells, having been arrested for telling fortunes in Burnley. The lady palmist was convicted under Section 4 of the Vagrancy Act of 1824, for which the maximum sentence was three months’ imprisonment or a £25 fine. She was fined 50 shillings including costs, an amount which was immediately paid. Sunday 28th March 1915: In a letter home on 25th February Captain John Longuet-Higgins mentioned that his brother Kenneth was about to set off for service abroad. While his brother is in hospital recovering from a wound received at Neuve Chapelle Acting Lieutenant Kenneth Longuet-Higgins has been on board the Cunard ship RMS Franconia sailing to the Dardanelles, where the Ottoman forces are under naval bombardment. He has been keeping his mother informed of his progress. There is in me a feeling of profound thankfulness, which is bursting to express itself somehow. Hence this letter. For are we not passing at this moment the St Vincent light and shan’t we pass Gib at midnight, having come right through the Bay and found it calmer than I’ve seen the river at Turvey sometimes? Everything in this ship is wonderful, especially the food. Beastly bad training for the bully beef to come, but still it isn’t our fault. The weather has been absolutely glorious. We passed Gib at night and did not put in there so we missed seeing the Rock which was rather a pity. But all yesterday we were running in sight of land, the most glorious mountains, quite blue they looked. We fetched up here about lunch-time today. Malta looks rather a funny place, rather like the models of Jerusalem you see at SPCK exhibition stands. By the way I don’t think I shall ever approve of the Daylight Saving Bill. They play awful pranks with the clock here and on two occasions I have had to wait an extra hour for my lunch and on two other occasions I have found myself half an hour late for breakfast. That kind of thing won’t do, you know, will it? We are now at sea again having left Malta yesterday. We were allowed leave on Monday afternoon and I went ashore. We saw all the sights. There have been sports on board this afternoon and I’ve come in here (the library-writing room) to more or less recover from hysterics, a complaint the whole ship’s company was suffering from half an hour ago. Here’s Sunday and we’re still on board this palace, and likely to remain here so far as I can see, though we may possibly, some of us, land and camp on this island,  where we are in harbour now along with some warships and a good many transports. By jove, it is ripping scenery and the weather is grand. We came up right through the archipelago with land all round you sometimes. There are mountains all round us now, some of them snow-capped. 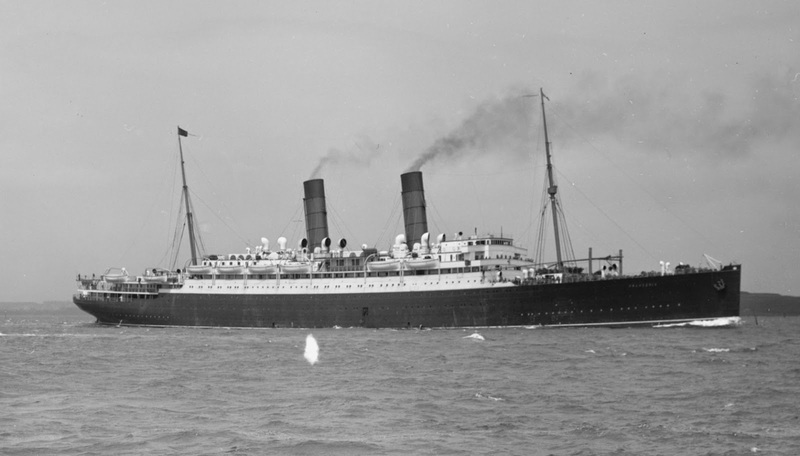 The Franconia was sunk by a U-Boat 195 east of Malta on 4th October 1916, with the loss of 12 out of 316 crew members. 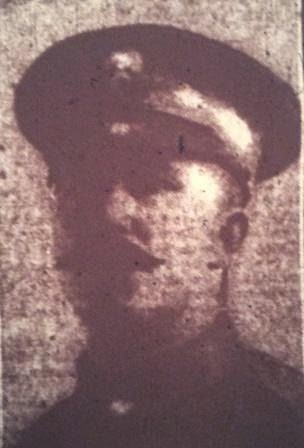 Acting Lieutenant Kenneth A L Longuet-Higgins R.M. died of wounds on 5th May 1915, aged just 18. 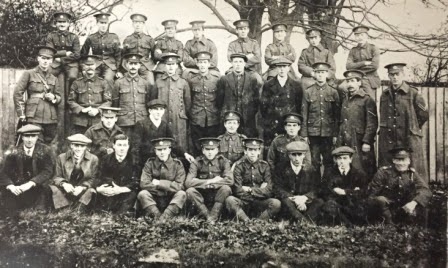 Saturday 27th March 1915: The village of Bromham has suffered a blow with the death of Private Charles Vintner of the Grenadier Guards during the Battle of Neuve Chapelle earlier this month. Private Vintner is the second Bromham man to be killed in the war. He was the brother of P.C. Vintner, the Bromham constable, and leaves a widow and young children. 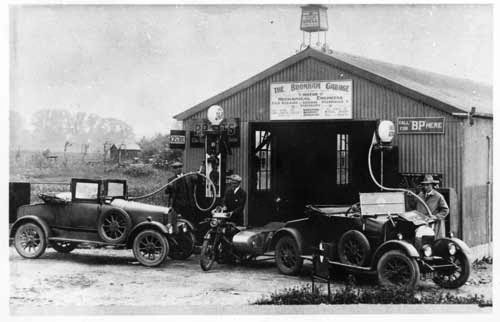 A veteran of the Boer War, he had worked before the war for Mr F. Collins of Bromham Garage. 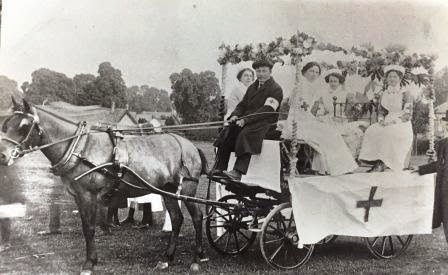 It appears that Charles had married Ethel Hardy in 1911. She gave birth to a son, Charles in the summer of 1915, so must have been pregnant at the time of her husband’s death. The chief speaker was Mr. F. G. Kellaway, M.P., who addressed a number of local issues. The question of charges for postage on parcels was a difficult one, as the Postmaster-General’s main concern was to ensure the provision of munitions; it would be hard to apply pressure to reduce postage charges if this would put additional pressure on the service. Mr Kellaway had received many complaints about billeting money and had taken up a number of cases with the War Office. The early closing of public houses had been sharply criticised by the Committee of the Trades’ Union Club in Bedford, but he did not agree that this was simply a response to pressure from the temperance movement; in fact the Justices had acted at the request of the military authorities and “the first and only consideration in this hour of national peril must be the well-being of their soldiers. Because a man could not get his usual drink at 10 or 11 o’clock if he were an Englishman, with the real British spirit in him, he would say he would go without his drink so long as their men were made fitter for the struggle”. 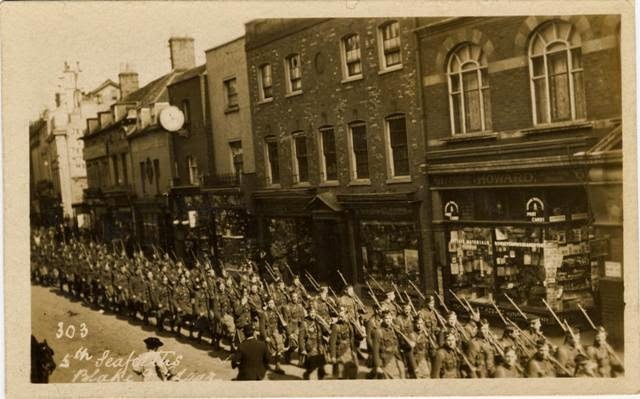 It should not be argued that this was unfair on the civilian population as the distinction between the Army and others was becoming ever more narrow, with the majority of Bedford working men fighting the Germans as much as the men in the trenches. Mr Kellaway also spoke about wages and food prices. He believed that every firm working on Government contracts had a duty to see that its men were properly paid so that they could afford the increased prices. He felt the majority of men in Bedford were getting a fair wage, but had heard of cases where this was not so. A guinea a week was not enough given the higher price of food, and he hoped any employers who were not paying their labourers adequately would act without the need for pressure to be applied through official channels. Frederick George Kellaway (1870-1933) was the Liberal Member of Parliament for Bedford from 1910 to 1922. Thursday 25th March 1915: William Stenhouse, an iron dresser from Clifton Road, Luton has appeared in court charged with making a false statement when attesting as a recruit to the East Anglian Royal Engineers. Captain Wilson said that Stenhouse had been sent to him from the Luton depot, had been given a uniform and sent on to Peterborough. He swore that he had never previously been in the Army, when in fact he had been a member of the 5th Battalion of the Bedfordshire Regiment. Captain Wilson produced the attestion from this prior period of service as proof. Stenhouse admitted the offence but said he did not think he was doing any harm by joining the Army again. As a single man he thought it was his duty to do so and told a lie on the spur of the moment. He had been discharged from the Bedfords for defective eye-sight, but had passed the East Anglian Engineers medical. The Mayor asked Captain Wilson if he would take Stenhouse back, but the Captain said that even if a man wanted to fight for his country it was still a crime to tell a lie. The Mayor advised Stenhouse that on his discharge he should go to the Barracks and tell the truth. Among the many provisions for the comfort and health of our troops in the present war, one that must be almost unique in the history of warfare is the institution of bathing stations to which the men can be sent to obtain a hot bath and clean clothing. A number have now been established in France and Belgium, and it is at one of the most successful of these stations that we are now working. It was started by part of our section in the schools of a little village. … We have three large rooms in use. In the first of these the men take off and leave their uniforms. The next is fitted up for use as a bathroom with twenty-seven tubs (wine casks sawn in halves), wooden grids for standing on, tables for serving out clean clothing, etc. Here the men get a hot bath with carbolic soap, and a complete change of clean underclothing; their uniforms are meanwhile brushed, or if in a very bad condition exchanged for new. The third room we use as our billet. We are quite comfortable there, only rather ramped as our stores of clean clothing take up so much space. At first we worked under great difficulties. All the water had to be hand-lined up from a well, the only suitable source near us, and heated in any kind of pot we could lay hands on (even ‘dixies’, camp kettles holding only two or three gallons) over a trench fire in the open, but we have now commandeered a couple of good 80 gallon boilers and made arrangements for a water-cart to supply us. Cardington: It would, I think, be possible to transfer the elder scholars to Willington School and the younger ones to Cople School. But this could possibly be avoided by the use of the Howard Reading Room for hospital purposes. I understand that it has been used by the local branch of the British Red Cross Society for their drills, etc. Aspley Guise: Arrangements might be made to transfer the scholars temporarily to Aspley Heath School, but this would be a very long journey for some of the scholars, particularly the younger ones, and it is probably that some of them would be found to reside outside the bye-law distance of 2½ miles from Aspley Heath School. 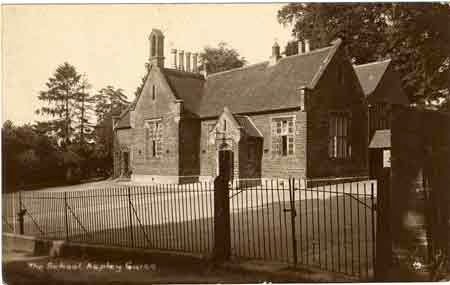 There is however at Aspley Guise a Parish Hall capable of seating 250 persons and there are good Institute premises at Aspley Heath; possibly these might be of use as Hospitals. Biggleswade: In view of the present demand on the school accommodation it is doubtful whether any school premises could be granted for use as a hospital without entirely disorganising attendance at school. It is suggested that the Masonic Rooms should be utilised as before for hospital purposes. Sharnbrook: It is very difficult to make arrangements for the transfer of scholars to other suitable premises. No other schools are available. There is, however, a large room which it is believed will be quite suitable for hospital purposes. Goldington: Cannot transfer scholars to other schools. There is a good Reading Room which might be large enough for a hospital though it is not large enough to accommodate the scholars in attendance at the school. Melchbourne: No other school premises available for transfer of scholars. The school is very small and would accommodate but few patients. Kempston: Arrangements might be made to place the Rural School for use as a Hospital. It seems clear from this report that any major scheme to locate hospitals in school buildings would create serious difficulties for educational arrangements in the county. 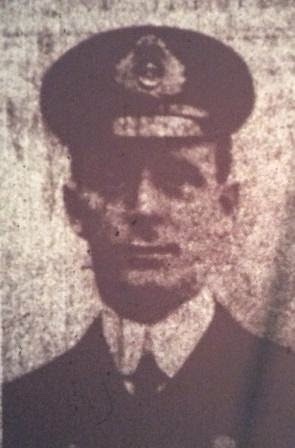 Sunday 21st March 1915: Casualty lists issued by the Admiralty yesterday show that three officers of HMS Irresistible have been killed, including Artificer Engineer Arnold Wharton, the son of Mr and Mrs Henry Wharton of 78, Hampton Road, Luton. 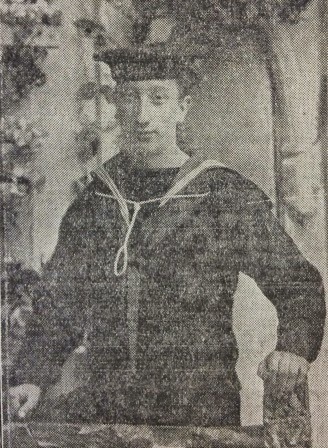 Arnold Wharton had been home for Christmas, at which time his ship was still on patrol work in the English Channel. 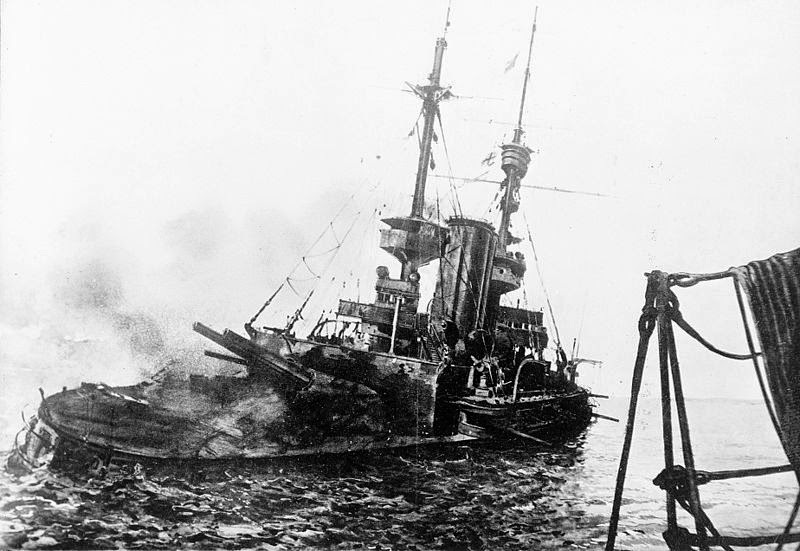 On February 1st Irresistible was sent to Dardanelles where she took part in the bombardment of Turkish forts and provided support for the initial landings of British troops at Gallipoli. On 18th March she was severely damaged when she struck a mine and drifted helplessly into a hail of heavy fire from the Turkish guns. The majority of the crew were rescued by other British ships, but 150 men were killed. Arnold Wharton, whose family came from Nottingham, served his apprenticeship in the engineering trade and became chief enginewright at a Derbyshire colliery. Shortly before he turned 21 he joined the Royal Navy as an ordinary artificer. He was first promoted five years ago. A studious young man, he became a master of both the practice and theory of naval engineering and had recently passed the examination for proportion to Engineer-Lieutenant. He had previously served on HMS Gladiator, transferring to another ship only a few weeks before Gladiator sank following a collision with the American steamer SS Saint Paul off the Isle of Wight in 1908. Engineer Wharton married Alice Spencer in 1905 and leaves a widow and three young children at their home in Portsmouth. Mr Henry Wharton has received a number of touching letters of sympathy on the tragic loss of his son from his colleagues at Commercial Cars Ltd. Despite being a strong opponent of war in general, Mr Wharton has been reported as saying “I don’t begrudge it. The loss is heavy, for he was a fine son, and was making good headway, but for the cause I don’t think any sacrifice too great. If it had been an ordinary commercial, capitalistic war, I should have begrudged it. But we look on this war in a different light, and I believe the lad, if it was possible for him to speak, would say the same”. Saturday 20th March 1915: James Kirby of Burr Street appeared before magistrates at Luton today charged with buying two pairs of boots which were the property of the military authorities from a soldier. Mr Kirby, a dealer, said that Private George Mellor of the 2/7th Battalion of the Notts and Derby Regiment had told him the boots were his own, and that he had some more in his kit bag. He claimed he would not have bought the boots if he had known he was doing anything wrong. . 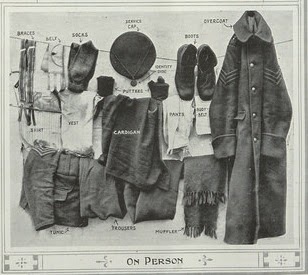 The Chief Constable wished it to be made know to the people of the town that they could not buy clothing, boots, groceries, or any other items from the army. Captain Whitehead said he was under instruction from the General Officer Commanding to bring this to the attention of the Bench. Purchases of this type had been taking place, and the military authorities had reported this to the police. He stated that it was difficult to discover where the men disposed of their boots. The Chairman of the Bench declared it was a disgrace that people should purchase anything from soldiers and that Mr Kirby must have known what he was doing when he bought boots that were being worn by a private in uniform for next to nothing. The magistrates imposed a fine of £10 with 8s costs, with the option to serve one month’s imprisonment as an alternative to paying the fine. 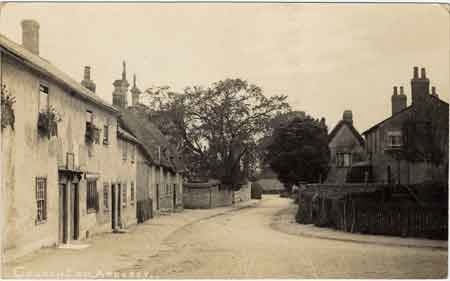 In eight villages – Bromham, Caddington, Cardington, Kensworth, Milton Ernest, Potsgrove, Stondon and Old Warden - recruitment has reached 10% or more of the total population with Cardington taking top place with a figure of 11.8%. Of this total of 4,389, Kempston and the village districts for which returns were made by head teachers contributed 1,301, with 3,088 coming from Bedford, Luton, Ampthill, Biggleswade, Dunstable, Leighton Buzzard and Sandy. If the proportion of recruits to the Territorials from these urban areas is similar to the proportion who have joined the other branches of the Forces, then the total number of men recruited by the Army and Navy from Bedfordshire can be estimated at 13,329. If this is correct it would mean that the county has sent 46% of the available men of military age and 6.8% of its total population of 194,588. Bedford, Luton, Ampthill, Biggleswade, Dunstable, Leighton Buzzard and Sandy were excluded from the returns due to their size and the greater difficulty of collecting figures. 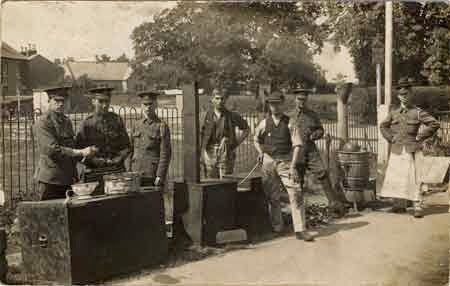 Thursday 18th March 1915: Two Luton men who deserted from the 3rd Bedfords last Christmas complained in court that there was not enough food for the soldiers and for some weeks there have been rumours that the men of the 5th Battalion of the Bedfordshire Regiment at Bury St. Edmunds are being poorly fed. As these rumours are likely to have a negative effect on recruiting unless they can be disproved. The Mayor of Luton, Mr H. Inwards (secretary of the South Beds Recruiting Committee) and Mr Murry Barford (a committee member) paid a surprise visit to Bury St. Edmunds yesterday to see for themselves how the soldiers are being fed. When the Luton party arrived in the town they went immediately and without warning to the Skating Rink, where all the catering is done and where the battalion have their meals. Dinner was being prepared and they were able to thoroughly examined the joints, vegetables and puddings which were being cooked. They also inspected the bacon, cheeses, jam and other provisions in the stores, and were thoroughly satisfied that there is no cause for complaint about the quality of the food. When the men sat down to dinner they circulated among them and enquired whether they had any complaints. Again they were left in no doubt that the food is both excellent in quality and ample in quantity. One company was involved in an exercise which meant they were not able to attend dinner, but the battalion is equipped with four travelling kitchens and one of these was out with the company, allowing them to receive the same hot dinner as that served to the rest of the battalion. The inspecting party were informed that the procedure for serving meals at the depot had been greatly improved and further improvements were planned to make sure there was no chance that food supplies would be distributed unequally. The Luton group left convinced that the only grumblers were a few men who appeared to forget that it was war time, and that they might not receive all their home comforts while in training. Wednesday 17th March 1915: A decision was taken at a meeting of Luton Town Council last night to increase the wages paid to Luton Corporation employees due to the increase in the cost of living brought about by the war. The increases, which were backdated to start in the week ending on March 5th, were granted on the assumption that the current high prices for food would continue, and will be reconsidered in six months time. The Mayor said that the Committee were guided by the principle that they should help the men earning the least money, for men earning 25s per week were in a worse position than those earning 35s or £2; these employees were to have a bonus of 2s per week. 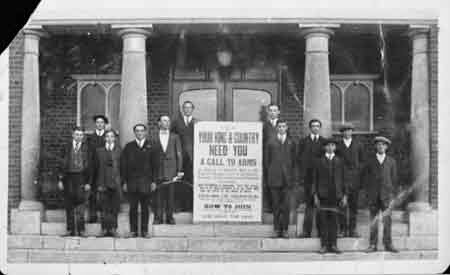 Councillor Briggs objected to the resolution on the grounds that there were 19 men who should qualify for the increase but were not going to get it, and proposed that these men should all get one shilling a week. His amendment was not seconded and the original proposal was passed. The foreman of the scavenging department was given a permanent increase of 5s per week. He had not received a rise for three or four years and had not had a Sunday off for eighteen months. The female attendants at the baths received a 3s per week increase. It was also decided by the Watch Committee to increase the pay for each member of the police force to the maximum for his rank in view of the increased cost of living. Scavengers were street cleaners employed to clear manure from the streets. The Bowskills’ youngest son John (known as Jack) has not yet left England and is at Bury St. Edmunds with the 5th Bedfords. He says “don’t you trouble about me, for if they go to the front I am going, and I hope we shall all come back safe. I think I shall be home again, perhaps for four days, before we go”. Private Archer Sidney Fisher, aged 21, who was also killed at Ypres on 16th November 1914 serving with the 1st Battalion of the Rifle Brigade. His parents Clarence Sidney and Rosa Fisher now live at Hurstpierpoint in Sussex. A further sixty-one Henlow men are currently serving in the armed forces. There are now three families of Belgians resident in the village. The most recent arrivals are Monsieur and Madame Lanwers and their little boy Henri. M. Lanwers fought at Antwerp, was wounded and has now been discharged from Service as disabled. Monsieur Desir­è de Grande has left Henlow to join relatives at Leicester, having received the good news that his wife is alive and living with her parents in a village on the Yser. Harry and Emma Bywaters lost two more sons, Ernest and Horace, later in the war. The villagers themselves have also been contributing to the war effort. The girls of the Council School have given thirteen shillings and sixpence to the “something to smoke” fund. At St. Mary’s Church a collection has been taken in aid of the Mission to Seamen after the Reverend E. Eland of Antwerp reported on the work it carries out for the benefit of our sailors, whose efforts have been so vital for the country’s war effort. Woburn men are doing their bit in the forces. Arthur H. Simmons, a former employee of the Park Farm Office who left England for Canada nearly two years ago, has been wounded while at the Front with the Princess Patricia’s Canadian Light Infantry. He has written from a hospital near Paris describing his condition as “left flapper slightly dented”. Friday 12th March 1915: News has been received that Mr Herbert Edward Sharp of Alfred Street, Dunstable was killed in action in Belgium on 22nd February. Mr Sharp was born and lived for much of his life in Kensworth and was well known in the area. After working as a farm labourer he went to London and enlisted in the Grenadier Guards about fourteen years ago. He spent three years with the regiment, during which time he served in the Boer War although it is believed he was not involved in any fighting. When he left the Guards he returned to Bedfordshire and became a postman in Dunstable, from where he took the mail to Markyate and Flamstead. As a reservist he was called up at the beginning of the war and went to Belgium with the British Expeditionary Force. He married Emma Ada Bradwin in 1909 but did not have any children. In addition to his wife he leaves a grieving mother and two sisters. As Mr Sharp was a regular correspondent his family feared the worst when his letters stopped, and their fears proved well-founded. His half-brother Arthur Hall of Kensworth is serving in France with the Army Service Corps. Thursday 11th March 1915: An open verdict was recorded at the inquest held this morning into the death of twenty-two year old Private Reginald Herbert Warren of the 5th Seaforth Highlanders. Private Warren had appeared to be perfectly healthy on Tuesday evening but was found dead in bed at his billet in Park Road North, Bedford, on Wednesday morning. Although a post-mortem examination was carried out, no cause of death could be identified. There were no marks of violence on the body, and nothing appeared wrong with the internal organs; everything seemed normal. Mr Carl Hansel, with whom Private Warren was billeted, said that he had seemed perfectly well when he last saw him on Sunday, although he had noticed that the young man showed signs of fatigue when he had been on a long march. When he was called to the bedroom yesterday morning there was nothing about either the deceased or the room to arouse suspicion. Colonel Charles Edward Douglas, the medical officer of the 5th Seaforths, said that Private Warren had never been on sick parade. He saw the deceased at about 6.50a.m., lying in his bad in a perfectly natural position. Death had taken place about two hours earlier. Private Warren’s father, Mr D. James Warren of East Finchley, said he last saw his son alive on New Year’s Day and he was in perfect health. He had received a letter from him on 8th March in which he complained of fatigue from trench digging, but which was otherwise full of hope and cheerfulness. Summing up, the Coroner said that the deceased had “surrendered his life for his country in a splendid way”, and it was a “mournful pleasure to his family that he had died in the service of his country”. The cause of death was simply a mystery which could not be solved despite the best efforts of the medical men. 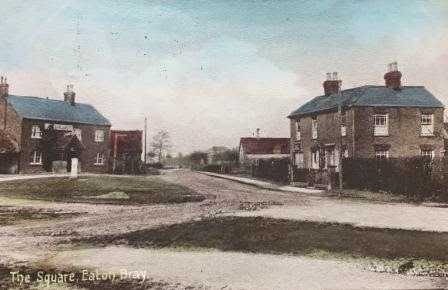 Wednesday 10th March 1915: A recruitment meeting held at the National School, Eaton Bray yesterday evening was well attended. The meeting was organised by the South Beds Recruiting Committee, presided over by the vicar, Revd. 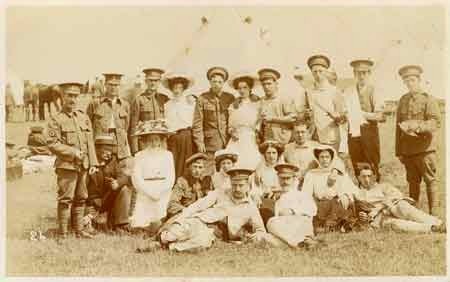 E. Sutton, and included a varied concert programme with a comedian, Mr Edgar Wane, and the drum and fife band of the Luton Volunteer Training Corps among the entertainers. Revd. Sutton said that if the country was conquered by the Germans certain things would be governed well, such as sanitary matters, but that autocracy would replace our free institutions and men should be willing to lay down their lives to protect our priceless liberty. Mr Hugh Cumberland hoped that Eaton Bray would improve its recruitment record. 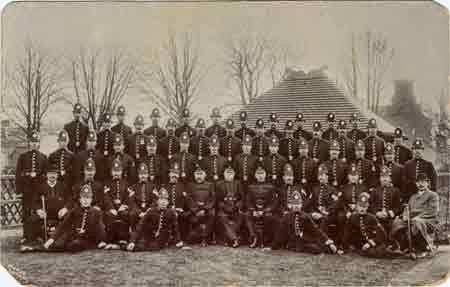 The 5th Beds Reserves were short of 250 men, and the 5th Battalion could not be deployed until the Reserves were fully manned. He did not think the Reserves would see any fighting “but if they did and lost their lives, well – it was a noble end”. 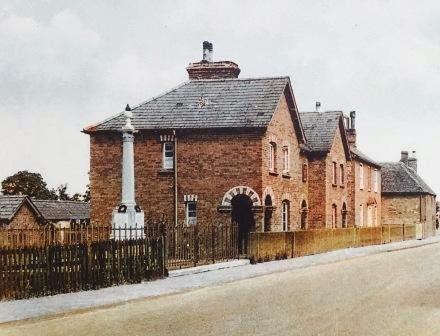 Mr H. Inwards, secretary of the South Beds Recruiting Committee, also appealed for the eligible men in the village to join the Bedfordshire Regiment, and pointed out that Mr Cumberland had a gallant son in the Bedfords and also two daughters engaged in Red Cross work. He had been visited by Major Brighten, commanding officer of the 5th Beds, who had warned him of the urgent need to strengthen the Reserves. Both Major Brighten and the Lord Lieutenant had told him that in the 1st Battalion the Bedfordshire Regiment had one of the finest fighting units in the country. Colonel Fenwick, a former officer of the Dorsets, drove over from Tilsworth to join the meeting as an unofficial speaker, asked “Why should the Vicar’s three sons and my son fight for you, and men eligible to go do not do so? Every family from the highest to the lowest should be represented“. His son, home recently on a short leave from the trenches, hoped that more men would be sent out as “the Germans were jolly good fighters, and the Allies were up against a tough thing”.